ACT Motorcycle Gear Sets are wide-ratio gear set engineered and manufactured to exact specifications for direct replacement of the factory gears. 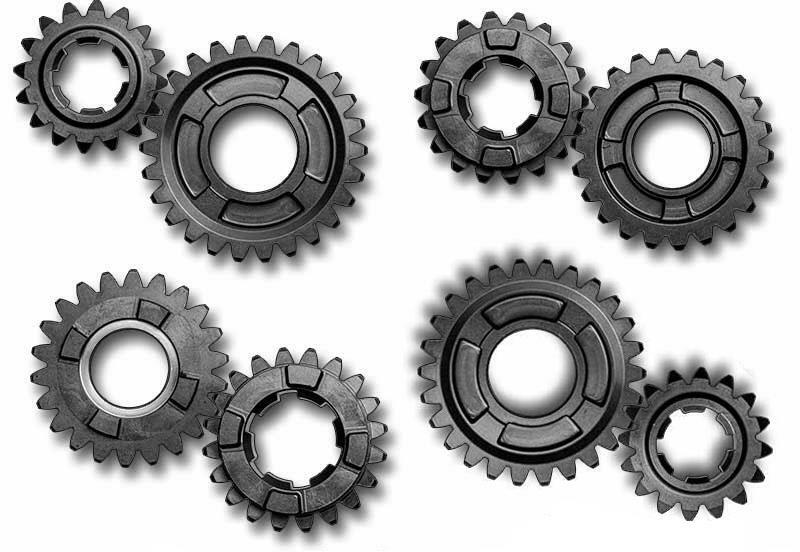 ACT wide-ratio gears incrementally broaden second through fifth gear, allowing increased range for off-road riding or higher top speeds. 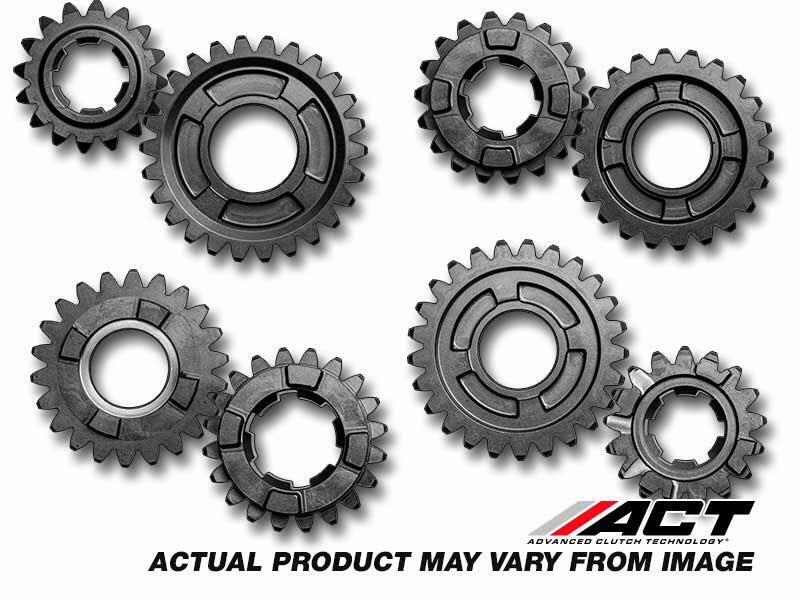 All ACT wide-ratio gear sets are made of properly heat-treated and case-hardened, chrome-moly steel.